This adorable Aaron Basha charm is heading for the tropics! 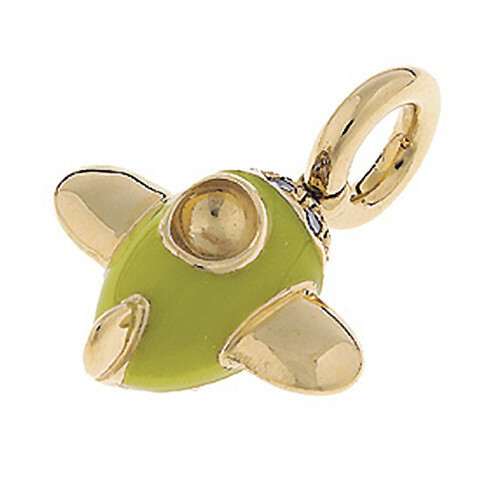 The lime green enamel pops brilliantly against the 18kt yellow gold setting of this airplane charm, and the nose of the plane is decorated with luxurious white diamonds. You'll enjoy any tropical destination wearing this Aaron Basha piece!